Sanur stretches for about 5km along an east-facing coastline, with the lush and green landscaped grounds of resorts fronting right onto the white sandy beach. West of the beachfront hotels is the busy main drag, Jl Danau Tamblingan, with hotel entrances and oodles of tourist shops, restaurants and cafes. 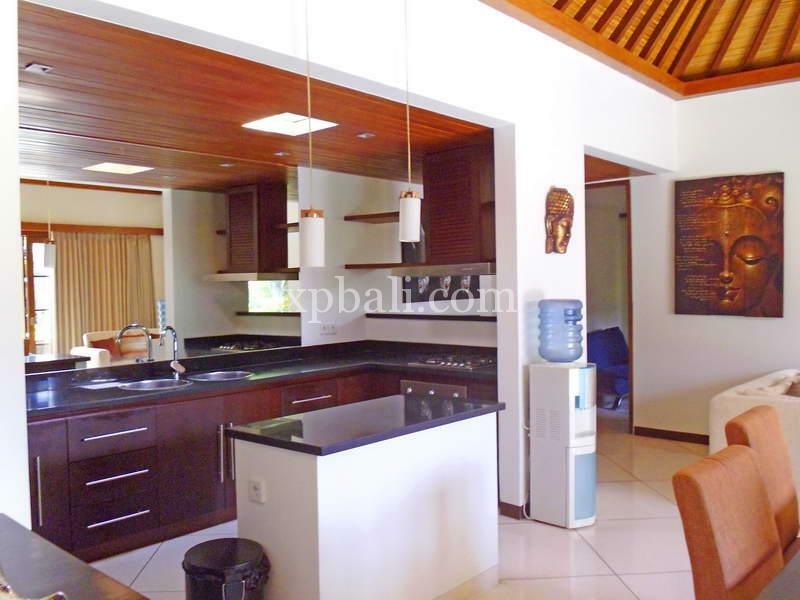 This amazing villa is one of a kind and very rarely do opportunities like this come up, especially in Sanur. 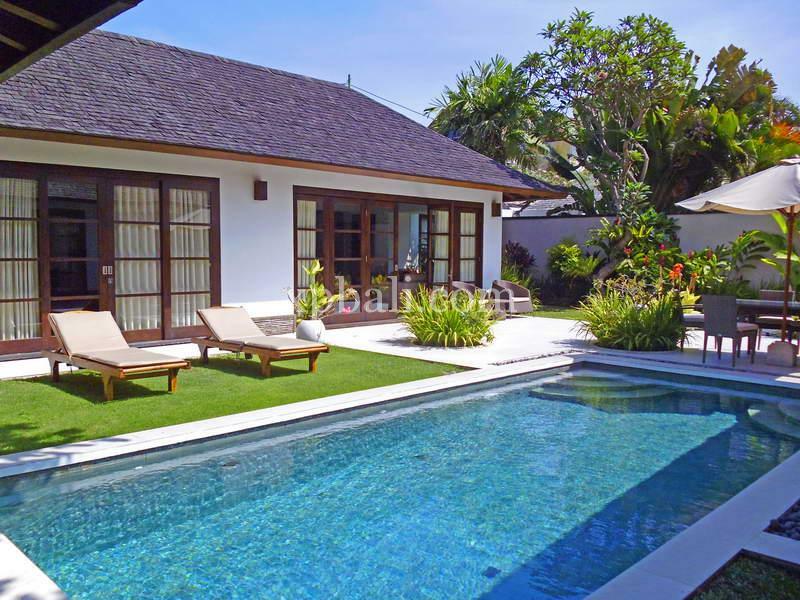 Not only is the villa situated in a private complex in between the beach and Jl Danau Tamblingan, but it also has direct access to the beach via a private access gate. The villa compromises of four bedrooms, one bedroom which is currently being used as a study, and separate accommodation facilities for a housekeeper. The living area and kitchen are spacious and comfortable. The rooms are all a good size with nice open planned bathrooms and plenty of cupboard space. 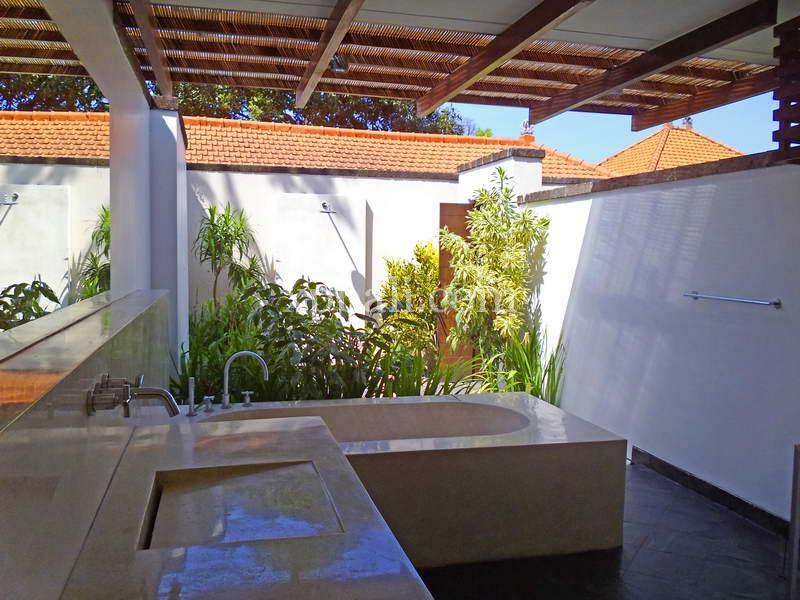 One of the bathrooms also has direct access to the 9m x 3m swimming pool with lush garden and bale where you can relax. This is a perfect home to live in, rent out or lock up. It is very safe and easy to maintain. Definitely won’t be on the market for long!! !